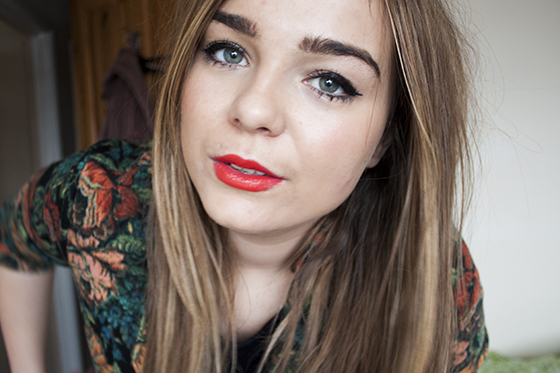 It's (probably) pretty well known I don't like red lips all that much. 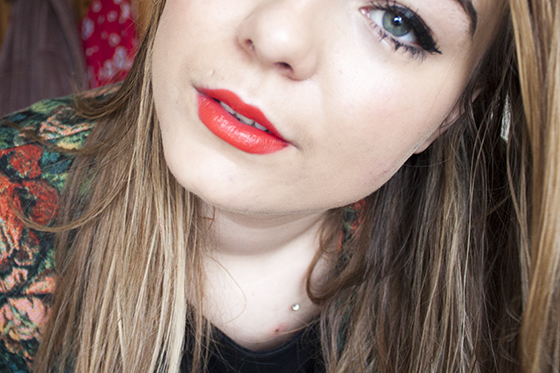 I have a few shades I like, namely Revlon Really Red, Topshop Hedonist and Kate Moss 110. All of which are on the matte side and all give a beautiful a classic matte red lip. However I decided to bring this to my Mum's with me when I came home in the attempt to jazz up some of my basic outfits with a shocking lip. 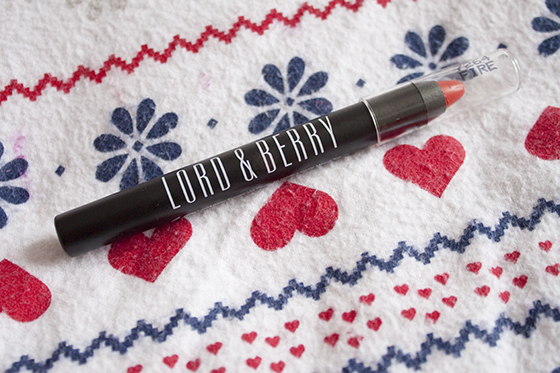 Lord and Berry Lipstick Crayon in Fire is a beautiful orange based red which is super vibrant on the lips and looks almost neon red. It's super creamy with a glossy pigmented finish on the lips which soon blots down to a soft satin like finish. It stains the lips slightly but I think with red lips it's quite a common occurrence! It glides ever so smoothly onto the lips and is incredibly easy to use although it is very soft so can smudge slightly. The formula is just beautiful, not too tacky or suffocating on the lips. Just a really nice glossy lightweight opaque feel. 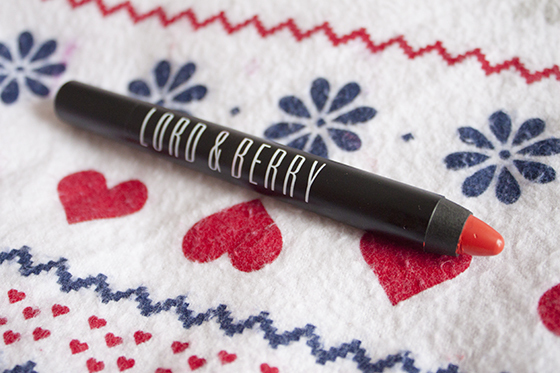 I think it's a beautiful shade and a lovely creamy formula for a pencil. I'd be very interested in trying some of the other shades available at some point!